The Mercury and Air Toxics Standards (MATS) protect against mercury and 84 other hazardous pollutants such as arsenic, sulfur dioxide, and lead, and the Trump Administration is now “reconsidering” the foundation upon which MATS stands. They’re just steps away from putting these crucial health protections on the chopping block. EPA estimates that MATS save up to 11,000 lives per year and prevent thousands of heart attacks, asthma attacks and hospital visits each year. However, Trump and his administration have chosen to place the wishes of their allies before the health of children and families. To stop this attack in its tracks, we need public officials stepping up. Take action today, and demand your elected officials join the outcry against this disastrous proposal. 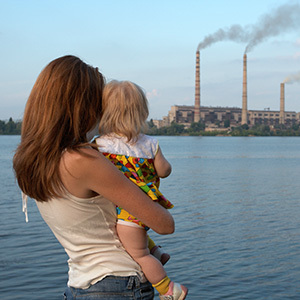 The Trump administration's reconsideration of the Mercury and Air Toxics Standards (MATS) is a disgraceful attack on safeguards put in place to keep children and families safe from the dangers of mercury and other hazardous pollutants. It is now evident the administration will not even stop when the well-being of our most vulnerable is at risk. The administration must be held accountable for such a shameless assault on children and families, and I encourage you to speak out publicly to make clear your stance on protections for people against mercury, arsenic, lead and other dangerous chemicals that are limited by MATS. If MATS is undone, we can expect more brain damage in fetuses and more learning disabilities in our children as well as more heart attacks, asthma attacks and deaths across the US. Protecting MATS means protecting children and fetuses. There should be no doubt about the proper course of action. In order to stop this dangerous attack, we need influential public officials like you standing on the right side. Please keep American families safe by publicly rejecting this senseless attack on critical protections.